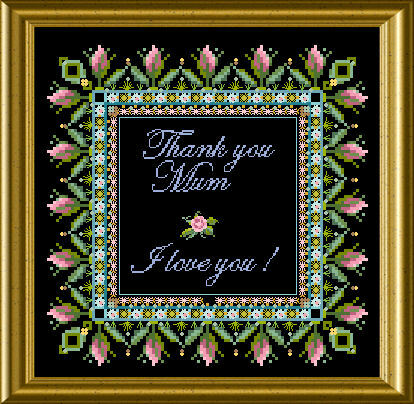 This small design has just the right size to be stitched as a small gift for Mother’s Day – as a box top, greeting card – small pincushion – there are many ideas ! 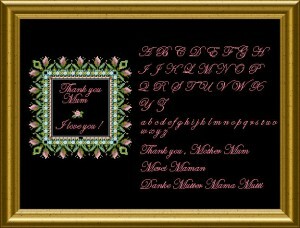 Lovely Special Stitches make the stitching entertaining – and the choice of wording is for your personalization purposes. Of course you can make up your own text for a birthday or anniversary too ! 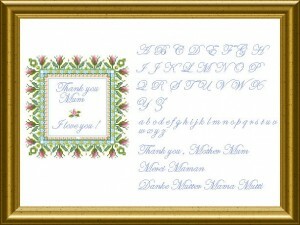 This was a consolitation prize for a Raffle and is now for sale in it’s original way as PDF. The size of this design is 107 x 107 stitches. Next PostNext SD 025 – Ex-Freebie Easter – Another Egg….